Santa María Huatulco is a town and municipality in Oaxaca in south-western Mexico. It is part of the Pochutla District in the east of the Costa Region. The municipality covers an area of 579.22 km² at an average of 220 meters above sea level. The Magdalena and Cruz rivers combine in the municipality to form the Huatulco river. Its ecosystem is lowland deciduous and includes mahogany, cedar, cashew and many other species of tree. Wildlife includes squirrel, opossum, skunk, raccoon, coati, ringtail, armadillos, ocelots and white-tailed deer. As of 2005, the municipality had a total population of 33,194 of which 1,119 spoke an indigenous language. The population includes many migrants from other areas drawn by the tourist business. Economic activities by numbers employed included tourism (40%), cultivation of coffee (30%), fishery (20%) and animal husbandry (10%). Tourism development is concentrated in the communities of Santa Cruz, La Crucecita and Tangolunda, with nine bays (Santa Cruz, Chahue, Tangolunda, Conejos, Chacahual, Cacaluta, San Agustín, El Órgano and Maguey) and 36 beaches, as well as ecological reserves that contain diverse nesting birds and reptiles. The municipality is the home of Huatulco National Park. The area is served by Bahías de Huatulco International Airport. 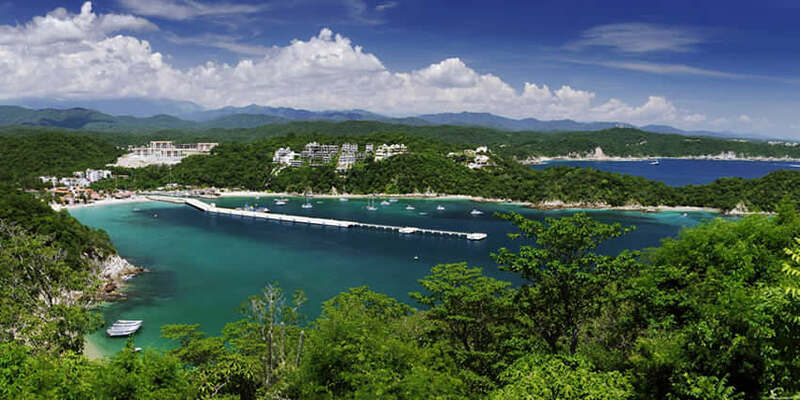 Huatulco has a borderline tropical wet and dry climate/semi-arid climate (Köppen Aw/BSh), featuring stable, hot temperatures all year round, with two marked seasons, a dry season from November through May, and a wet season from June through Octobere. UV radiation levels are high all year round, ranging from 8 in December, to 11+ between March and September. Heat and Humidity is very high all year round. The meaning of Huatulco, or Guatulco Coatulco is, “where they worship the tree”, referring to an ancient legend. Hernán Cortés conquered the town of Huatulco on 8 January 1539. 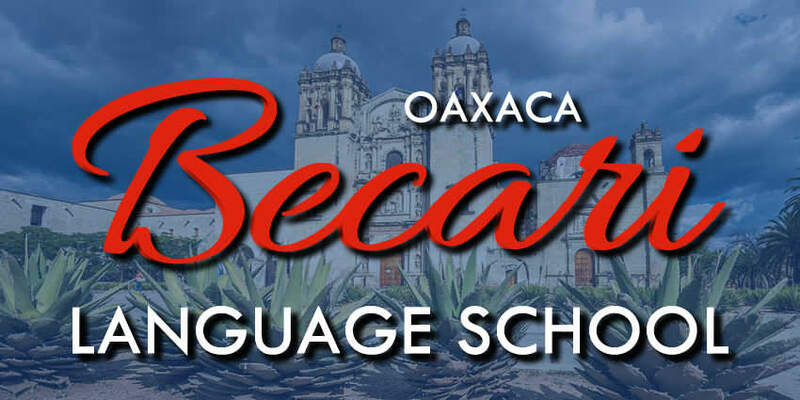 The town lies about 7 miles north from Huatulco International Airport, the road to Santa María Huatulco intersects the coastal highway. This is the town from which the resort Huatulco got its name, that it is a separate town located miles away from Huatulco the resort. It is a small, pretty, and very clean town surrounded by the foothills of the Sierra Madre del Sur. Santa María Huatulco is the home of residents displaced by the development of the Huatulco resort. In the central plaza is a church which contains a piece of an old cross which has an interesting legend. The following information comes from the plaque in the church. This plaque has since been moved to the church in Santa Cruz. Two thousand years ago in the time of the apostles of Jesus, the native indians of this area saw coming from the sea, as if he came from Peru, an old white man with long hair and a beard, and a large cape with an overcoat. This man, according to folklore, is recognized as the Saint Thomas apostle, and according to the history of Mexico, is Quetzalcoatl. He arrived carrying a a very beautiful timber, like a cross. This event was unusual and amazing, and many people came to the beach to meet him. The white man saluted them benevolent in their own language. And he remained for a few days teaching them many things. And every day he was on his knees praying. When he departed, he told the people that the holy timber should remain on the beach, and despite the large size and weight he erected it on the beach by himself. Due to these events, large pilgrimages of native indians from many places would come to the beach to admire the holy timber. From this comes the name, Quauhtlelco, a Nahuatl word that means: Cuauhtli – timber; Telosa – to bow; and Co – place. The whole word means Huatulco – the place where the timber is adored. In the year 1587, the English pirate Thomas Cavendish (refer to History of the Region) arrived at the famous Huatulco port. After coming in to rob the town, he tried to demolish the holy cross with axes and saws but could not. Then he tied the cross with ropes to his ship which sailed into the open sea and still could not move it. He also tried to burn it but it remained standing. In this altar is a small cross which is an authentic fragment of the Holy Cross from the same holy timber which the people keep with veneration. In 1612, Bishop Juan de Cervantes brought part of the cross to the cathedral in Oaxaca. From this piece he fashioned a copy of the original, which remains there today. Other fragments of the Holy Cross are in a cathedral in Puebla, and in the Vatican in Rome. The anniversary of the Holy Cross is celebrated annually in late February. Hagia Sofia is a 130-hectare agro-ecological project located in the mountains of southern Mexico at altitudes between 260-390m above sea level. Visitors can learn about organic/sustainable farming as applied to exotic fruits and flowers from Southeast Asia and Mexico as well as the cultivation of rare timber trees native to Mexico. This unique location is also home to a wide diversity of flora and fauna. Hagia Sofia, a few miles inland from Huatulco bays, is a unique destination to be enjoyed with family and friends. Our aim is to apply earth-friendly practices to local agriculture while sharing nature’s wisdom through agro-tourism. Hagia Sofia is committed to sustainability and the interdisciplinary team works to train future generations. This includes the basics of organic growing: minimal consumption of natural resources, making composts, development and use of alternative energies and use of biodegradable products.